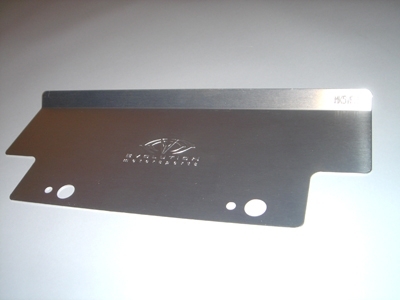 Made out of brushed aluminum this simple yet effective heat shield will mount to your vehicle utilizing the rear mounting pegs that the factory engine cover sits on. It's designed to block the heat rising from the exhaust manifold and the turbo. Resulting in lower intake temperatures and more power. 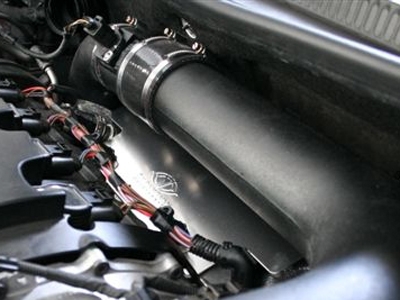 -effictivley reduces heat being transferred to the V-Flow intake tube.